A migraine results in a pulsating sensation or a severe throbbing pain, usually on single side of the head. The headache due to migraine is often associated with symptoms of vomiting, nausea and extreme sensitivity to sound and light. Migraine can result in significant attacks of severe pain for hours to days and the severity of the pain is so much that it is disabling. Warning symptoms referred to as aura may occur with or before the headache. These symptoms may include blind spots, flashes of light or tingling in your leg, arm or one side of the face. What causes migraine? The cause of migraine is unclear. According to a popular theory, the blood vessels in the brain go into spasm or become narrower, which causes the symptoms of the aura. Soon afterwards, the blood vessels dilate, which causes the headache. However, this theory does not explain the whole story and may not be the main reason behind the migraine attack. Now it is thought that the activity of certain chemicals in the brain is increased and confusion signals are sent out from parts of the brain, which results in symptoms. What exact change occurs in brain chemicals is not known. It is also unclear why these changes develop in people suffering from migraine. 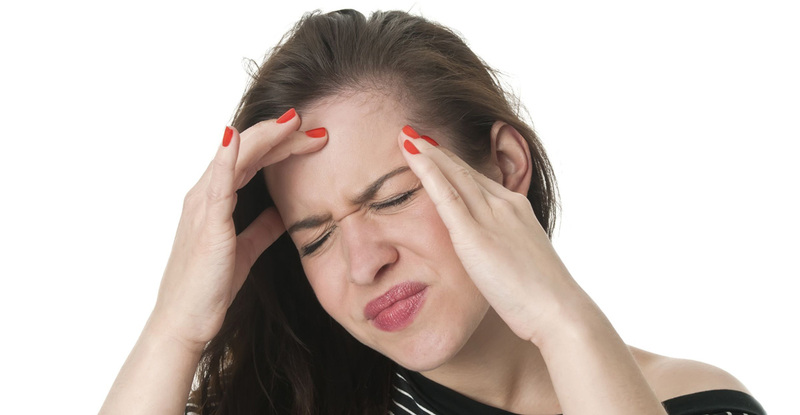 Though it's not clear to know what causes migraines, many possible triggers of migraine have been suggested such as hormonal, physical, emotional, dietary, medicinal and environmental factors. Some females have migraine attacks at the time of their menses, possibly due to changes in hormonal levels such as estrogen levels during this time. These types of headaches usually happen between 2 days before your periods begin and 3 days after your periods end. Some females experience migraine headaches only during this time, their headache is referred to as pure menstrual migraine. However, majority of the females also have them at other times. In many females migraine headaches may improve post menopause, although, in some females, migraines may be triggered or made worse by menopause. After discussing what causes migraines and the triggers of migraines, let’s discuss factors that raise your risk of getting migraines. Migraines may first occur at any age. However, majority of the individuals will have their first headache during adolescence. Usually migraines improve after the age of 30. You are at risk of having migraine if any of your close family members suffers from it. In fact, 90% of the patients suffering from migraine have a positive family history of migraine headache. Your risk of getting it is higher if both or one of your parents has a history of the disease. During childhood, boys are more likely to get migraine headaches than girls. However, after puberty, females are 3 times more likely to develop the headache than males. What causes migraines? It has been discussed. How can you manage migraine? Use a cold compress on the affected area. Rest with pillows supporting the neck or head. Rest comfortably in a room where there is no sensory stimulation (from odors, light and sound). Drink moderate quantities of caffeine. NSAIDs (Nonsteroidal anti-inflammatory drugs): These include drugs such as ibuprofen, aspirin and naproxen. NSAIDs should be avoided by persons who have a history of bleeding from stomach. Ask your physician about possible interactions with other medicines if you are taking any other drugs. Tylenol (Acetaminophen): This drug may be taken safely with NSAIDs for additional effect. It should not be taken if you are suffering from liver diseases or ingest 3 or more alcoholic drinks per day. Combination medicines: Certain OTC pain killers have been approved to be used in migraine. These are Excedrin Migraine, which has aspirin and acetaminophen in combination with caffeine. You can get a similar effect by taking 2 aspirin or acetaminophen along with a cup of black coffee. If the pain is not relieved by the above mentioned ways, visit your physician for help.